After weeks of searching, it looks like the Browns are finally ready to hire a head coach. 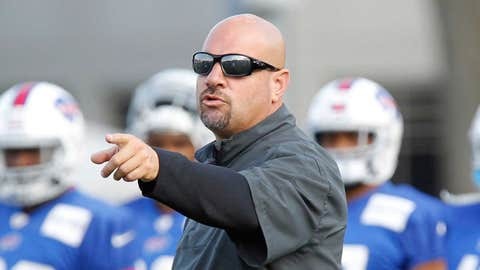 According to multiple reports, Bills defensive coordinator Mike Pettine will be hired by the Browns to fill their head coach vacancy and the news could be announced as early as Thursday evening. Browns expected to offer their HC job to Bills DC Mike Pettine, per multiple league sources, via @mortreport and me. Need to work out deal. The news was first reported by Will Burge of Bleacher Report early this morning, when he tweeted out that Pettine would be traveling to Cleveland Thursday for contract negotiations and not a third interview. The Browns are expected to make an official announcement Thursday evening or early Friday morning. The #Browns are attempting to hire #Bills DC Mike Pettine today, per Browns sources. They are trying to figure out coordinators.